WE’VE all heard stories of lads who played with Roy Keane, or Gazza, or Harry Kane. Bad luck, bad timing or bad decisions shot down their football dreams and they came home with great stories and memories, but very little else. Henry McStay could have been one of those lads. He became one of David O’Leary’s ‘babies’ when Leeds United won the race for his signature in 2000. Financial meltdown at the club saw him released and injury problems ruined his playing career, but the resourceful Lurgan native retrained and has returned to Elland Road as the first team physio. Andy Watters spoke to a man who refused to give up on his football dream. HENRY McStay was 15 when he arrived at Leeds United. The Lurgan teenager – a penalty-taking, ball-playing defender who was equally at home at right-back or centre-back - was invited to join a football academy that rivaled Manchester United as England’s finest. Previous graduates in the first team included England internationals Jonathan Woodgate and Alan Smith, Republic of Ireland stars Gary Kelly, Ian Hate, Stephen McPhail and Alan Mayberry and Australian superstar Harry Kewell, who was seen by many as the best of the lot. McStay, who had come through the ranks at Lurgan’s Sunnyside and was spotted by scouts while playing for Armagh in the Milk Cup, had chosen Leeds ahead of offers from Tottenham and Celtic and was determined to make his mark. “I liked the feeling at the club,” he recalled. At 17 he signed as a professional and moved into the halls at the Leeds training ground Thorp Arch. By that stage he was an Olympic Youth Tournament winner with the Republic and was pushing for place in the star-studded reserves. “If you were playing well they’d put you in,” he says. And the Boys in Green like Kelly and Harte and Robbie Keane - just arrived from Inter Milan – all helped him settle. “Gary Kelly was fantastic for all the Irish lads,” McStay recalled. “They were very good with me and boys like Paul Keegan, Alan Kinsella and Andy Keogh. Leeds had a great interest in Irish players then. AS his career progressed at Leeds, McStay’s services were in demand back home. 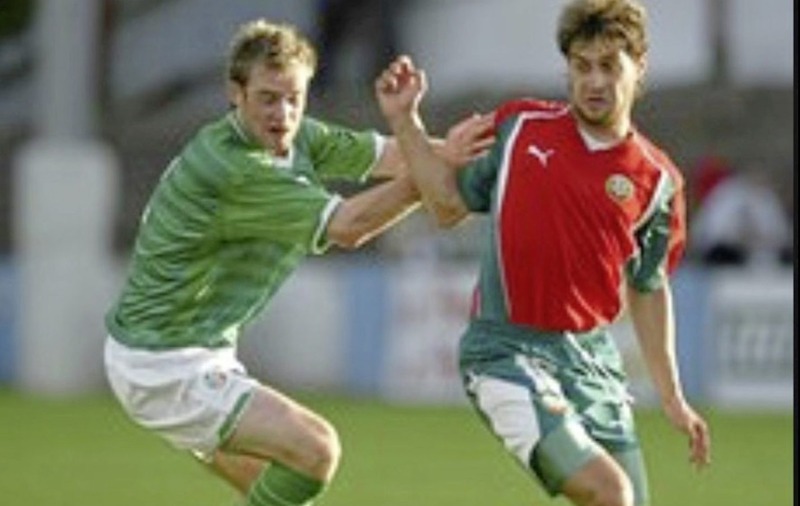 He’d been a Victory Shield winner with Northern Ireland at U16 level, but switched to the Republic under Brian Kerr. “I’d been to watch the Republic loads of times,” he explained. “My da used to follow them home and away with Derryhirk Supporters’ Club in Lurgan and when the time came I was approached and I said I would be interested in playing for the Republic of Ireland, so when I turned 16 I decided to switch over. “Brian was the manager and we won the Olympic Youth Tournament - the first tournament I played in with them - and then it was into the qualifying for the U17 European Championships and we just missed out on qualification because of a last minute goal against Serbia. IN 2000 Leeds appeared to be on a countdown for blast-off into a new and lasting football orbit. But the club was actually heading towards the brink of financial ruin and went into a decline from which it has yet to fully recover. 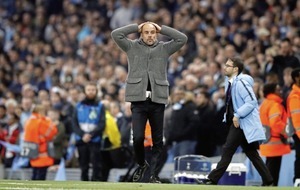 Reaching the Champions League semi-finals in 2001 briefly papered over alarming financial cracks in the club’s bank accounts and things rapidly turned sour. After failing to secure a place in the Champions League, O’Leary was sacked by big-spending chairman Peter Risdale at the end of the 2001/02 season. Terry Venables, Peter Reid and Eddie Gray all came and went and one by one the stars were sold to service crippling debt. By then McStay had gone on loan to Halifax Town to get first team experience. “There was a lot of competition,” he explained. “I had people like Rio Ferdinand and Jonathan Woodgate in front of me. Looking back on it, it was an impossible task to break into the team. “I was good at a young age but as I got older, I dunno… I didn’t fulfill my potential at Leeds. “The club had several different managers and it was hard to build up relationships with them to put trust in a young fella coming through, especially when they were going down the leagues. By the time McStay returned from his injury-ruined stint at Halifax in 2005 Leeds had been relegated, Kevin Blackwell had replaced Gray as manager and the unstable club was no longer in the business of bringing through young players. Blackwell broke the news that he was being released. "It was very hard to hear at the time,” McStay admits. LIKE thousands of young Irish footballers before and since, McStay came back from England with his Match of the Day dreams unfulfilled. “It’s a very difficult thing when you’re released at the end of a season and there are several thousand other players in the same boat as you,” he explained. “They’re all vying for contracts and going on trials, so it’s all up in the air. Unlike many, McStay had a Plan B. A capable student, he had heeded the club’s advice and continued his studies at Leeds and when Portadown manager Ronnie McFall came calling he decided to combine football with college. 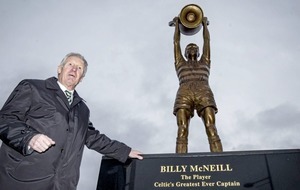 "Henry McStay's a real good lad," said McFall. “We were looking for a centre back and we knew he had come back home. 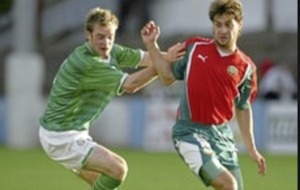 A few years previously, McFall had welcomed Wesley Boyle, an FA Youth Cup winner with Leeds, to Portadown. He understands how difficult it is for young players to return home and make their way in “the real world” when professional football hasn’t worked out. "When they go over to England and it doesn’t work out they come back to the real world,” said McFall. "They have to get themselves a job and start getting up at 7 o’clock in the morning when they’ve never worked before. When they come back here it’s a bit of a culture shock to them. In his first season at Shamrock Park, McStay enrolled at Belfast Met and by the end of the year he had been accepted onto a degree course at Sheffield University. 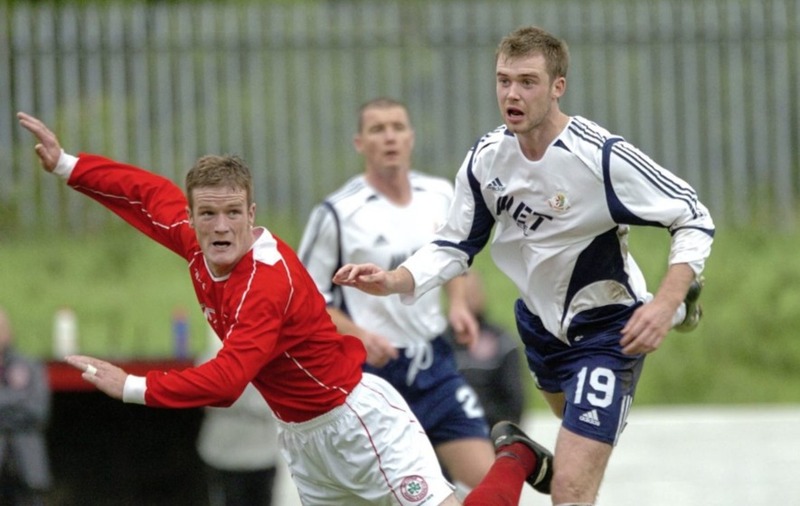 He studied there during the week and flew back home to play for Portadown at weekends and his form won him a third cap with the Republic of Ireland U21s. St Mirren offered him a trial and while he was there Warren Joyce, former youth team manager at Leeds, rang to say he’d taken a job at Royal Antwerp in Belgium and wanted to sign him. McStay went on a two-year deal but played for just six months. “It was quite difficult there, the main language is Flemish and I couldn’t get to grips with it,” he explained. NORTHERN Ireland legend Sammy McIlroy had been the man on the phone so McStay said “Vaarwel” to Antwerp and packed his bags for the north-west of England. At the end of the 2007/08 season ‘the Shrimps’ signed him on a two-year deal and the 22-year-old flourished in the hurly burly of League Two. But once again he planned ahead. “I went back to do my degree in physiotherapy,” he explained. AS soon as he landed he knew something was wrong. McStay climbed to win a header against Middlesbrough and his knee “gave way” when he hit the Riverside turf. Scans showed that surgery was required and so he spent another six months on the sidelines, but this time there was no way back. The offer of a new deal at Morecambe was shelved and McStay retreated to Portadown hoping for football and fitness. ONE door shuts and another opens. McStay might have cursed his luck as he hung up his boots but he channeled his frustration into carving out a new career. He finished his degree and soon found himself back at Leeds working as a physio, first with the academy teams and now with the first team. “I had no other choice, I had to call it a day and I went back to university and finished my degree and then I had the opportunity to come and work for Leeds,” he explained. “I had kept in touch with some of the staff and the head physio Harvey Sharman was there when I was there as a player. “When I qualified I started doing part-time work with some of the academy teams as physio and a job opportunity came up and I went full-time as a physiotherapist in the academy and I’ve been here ever since. “I was promoted to the first team when Harvey left two and-a-half years ago to work in baseball in America. “I’d always wanted to stay within football so this is probably the perfect job for me. It’s challenging at times with all the traveling and trying to get players fit and keep them fit, but it’s the next best thing to playing. “I’m still involved in football, I always loved playing football and I love Leeds. My wife is from Leeds, my two boys are Leeds fans, and it was always my goal that when I stopped playing that I would come back and work in some capacity within the club. IT’S never dull at Leeds United. A fortnight ago Paul Heckingbottom became the club’s seventh manager since 2014 after Thomas Cristiansen was sacked. The club still has an Irish connection through Derry born Republic international Eunan O’Kane and Northern Ireland star Stuart Dallas. This season Conor O’Shaughnessy has broken into the first team while Eoghan Stokes has been around the fringes. “There aren’t as many Irish as there used to be but we’re still well represented,” McStay explained. “Over the last five or six years Leeds has based their recruitment of young players more on a local basis because of the financial restraints on the club. And despite disappointing results, McStay insists that the future is bright at Elland Road. “Every year we’re getting better. Mr Radrizzani has come in and bought the club and everything is very positive,” he said. If everyone has Henry McStay’s mentality, Leeds United has a chance.